During my time in college, I used to dread Januarys at the gym. As someone who regularly frequented the gym between and after classes, I had figured out the best times to go when it was relatively empty and I could use the machines I wanted without having to wait for them. I developed a schedule and could usually count on completing my workout routine without interruption or delays. That is until January came around. Suddenly the gym became filled with people whose New Year’s resolution was to get in shape, lose weight, and work out more often. Instead of being able to jump on my usual machine, I now had to wait in line for the first available one. Don’t get me wrong, I love that people had suddenly decided to become healthier, I just wished that they didn’t all decide at the same time. By mid March however, the gym had mostly returned to its previous occupancy. What happened? Pretty simple to figure out. By March, most of the people who were driven by their New Year’s resolutions to become healthier had begun to lose their motivation and eventually returned to their typical schedules. This phenomenon happens every year for all sorts of behaviors. Perhaps you begin the year with the intention to eat healthier, to cut back on smoking or drinking, to gamble less, save more money, to exercise more, the list goes on and on. But as each of us can probably attest to, many New Year’s resolutions go unfulfilled. I know many of mine have. With the New Year right around the corner, I started to think about why. Why do so many of us fail at keeping our resolutions, especially when we are so motivated in the beginning? There are many reasons why this may happen, but I identified 3 major areas that I believe are critical components to any successful New Year’s resolution. One of the biggest problems is that people set goals that are too lofty. Perhaps ideally you want to lose 20 pounds in the New Year, but that task can be daunting and overwhelming, especially if in the first few months you’ve only lost a few pounds. With such a large goal, it is easy to become discouraged in the beginning and not follow through. It’s important that your resolution is realistic. Saying that you want to lose 2 pounds a month may seem more surmountable than to lose 20 pounds. Even though you are setting a goal for the whole year, it becomes more manageable if you can break it into smaller monthly or even weekly goals. If you want to quit smoking or dipping this year, perhaps you begin by picking a number to cut back by each week. Setting these smaller goals can help make your overall resolution more attainable. This brings us to the second problem. Resolutions need to be specific. What does it mean to exercise more or to eat healthier? The more specific and concrete a resolution is, the easier it is to follow through. Perhaps exercising more means doing at least 30 minutes of moderate cardio, 4 days a week. Eating healthier may mean incorporating at least one serving of fruits or vegetables into every meal. You want to save more money this year? How? Does that mean cutting back on the number of times you go out to eat? Does it mean spending less on clothes or electronics? Saying to yourself that you will only go out to eat twice a week gives you a concrete task to adhere to rather than an abstract objective. Without this third aspect, your resolution is doomed from the beginning, however many people do not spend enough, or any, time at this stage. This involves the planning and practicing of the new behavior. It involves identifying potential obstacles that you may encounter and planning for how you will overcome them. If you want to exercise more, do you have the right equipment? 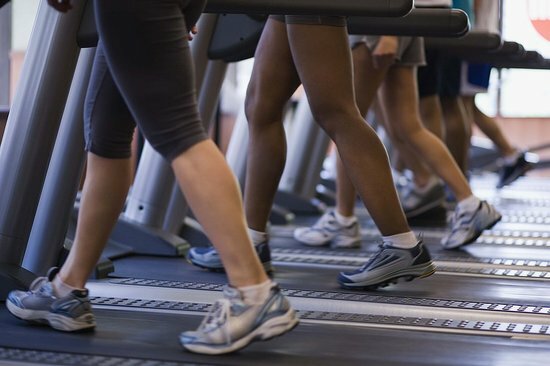 Do you have gym shoes, a gym membership, or routine for working out on your own? If you want to cut back on smoking or drinking, have you thought about what behavior will replace it? This may involve rearranging the environment you live in, removing triggers of a negative behavior and putting in things to remind you of your new positive behavior. Throw away old alcohol bottles, lighters, and junk food. Put your running shoes in a place that you will be sure to see them, leave motivational sticky notes around your house, keep healthy snacks in your car. Tell people about your resolution and find people that support you. Anticipate slips in your journey, but don’t let them become falls. Even with preparation and motivation, you may still resort back to old behaviors from time to time, but persevere! Behavior change takes time and the occasional detour is okay, just try not to stray too far off course. The first is that I want to be better at bolusing right after I finish eating, instead of occasionally having 15-30 minutes pass before I remember. How can I be better at remembering? Perhaps I can set reminders on my phone or move my missed bolus reminder closer to when I typically eat my meals. The second behavior is that I want to be better about sending in my glucose numbers to my endocrinologist when I notice that my numbers may need adjusting. For me this means finally putting the CGM software on a computer so that I can download all the data and then email it to my doctor. It also means remembering to do this every few weeks. Perhaps I can also set a reminder on my phone every 2-3 weeks to email my doctor my glucose numbers. Hopefully by accomplishing the above 2 behaviors, it will help to bring my blood sugars under tighter control which will ultimately lower my A1c. By coming up with concrete steps that I can do to accomplish this goal, I feel more confident that this year’s New Year’s resolution will not go unfulfilled. What about you? 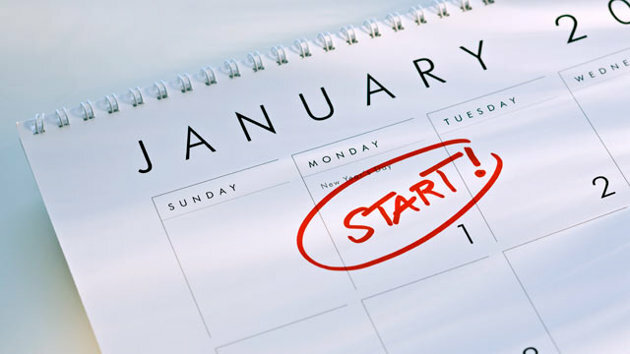 Have you thought about what your resolution is going to be? Whatever it is, just remember to be SMART. Great post Reva! I've been thinking of my New Year's resolutions as well, and the three components you mentioned have made me rethink how I'll go about achieving mine. Best of luck with your resolution! Thanks Lydia! Good luck to you too!